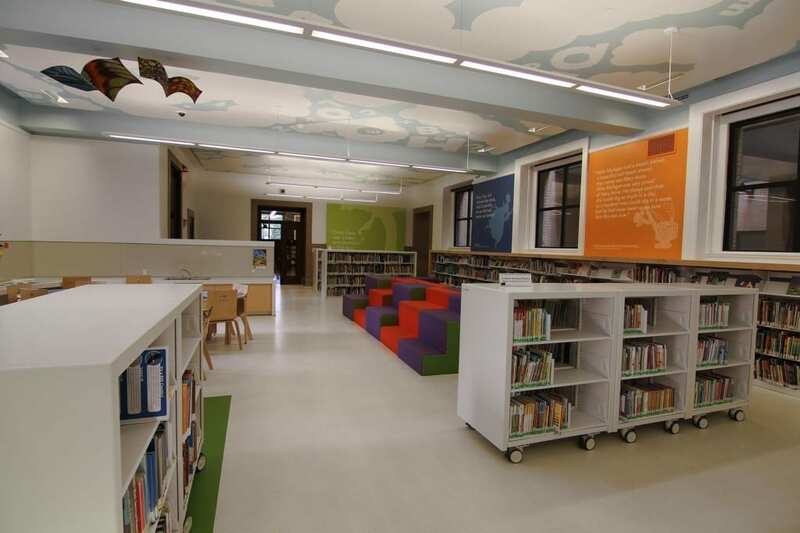 On average, children and young adults constitute 60% of a library’s patronage – yet many libraries are lacking in children’s library spaces that engage and cater to the needs of youth and the parents that often accompany them. 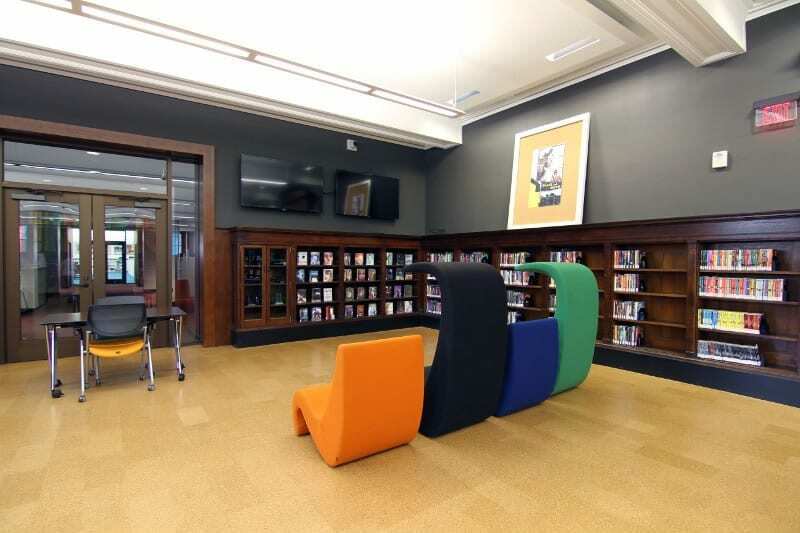 By moving shelving and media to children’s eye level, adding colorful details, and making space for comfortable seating and exploration, libraries can create a space that will make children excited to learn and return. 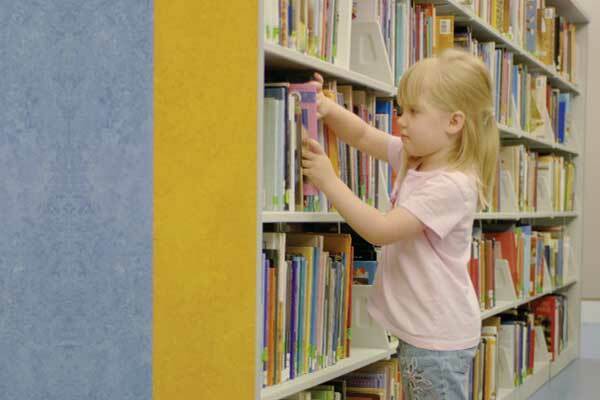 Books, magazines, DVDs, and other media placed at children’s eye level allows younger patrons to easily spot and grab books. 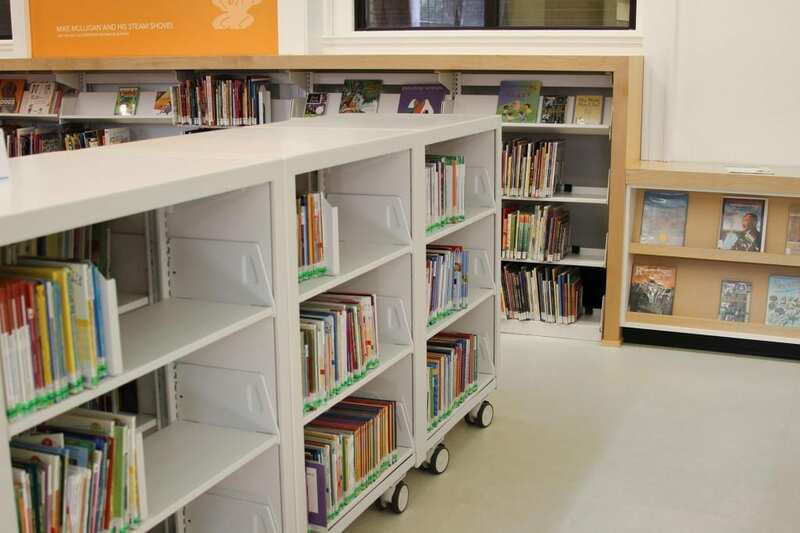 Aside from simply lowering the height of standard 4-Post shelving, you can also add dividers, bins, and pull-out shelves to Cantilever Shelving units to allow children to grab books and return them all by themselves, with no exact alphabetical ordering system. 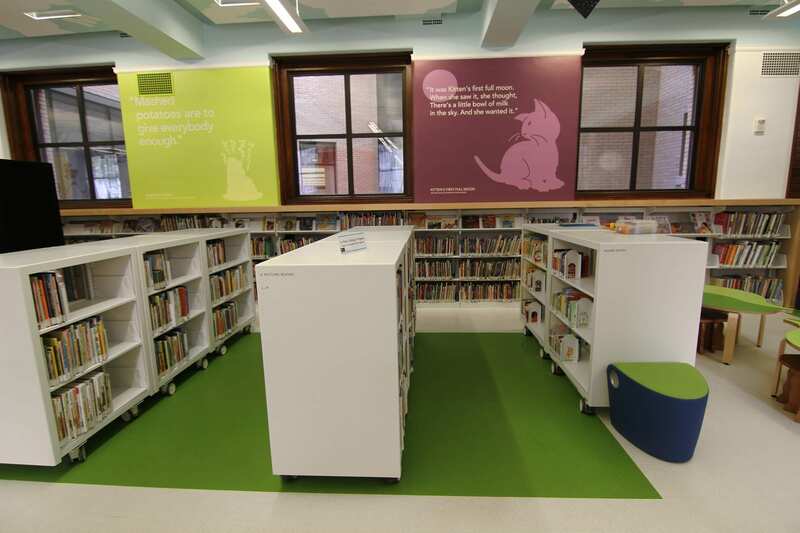 Cantilever shelving displays in children’s library spaces can easily be reconfigured to feature different books or to promote an ongoing reading program. You can even replace some of your shelves with rolling book carts to easily reconfigure spaces for activities or events such as story times. 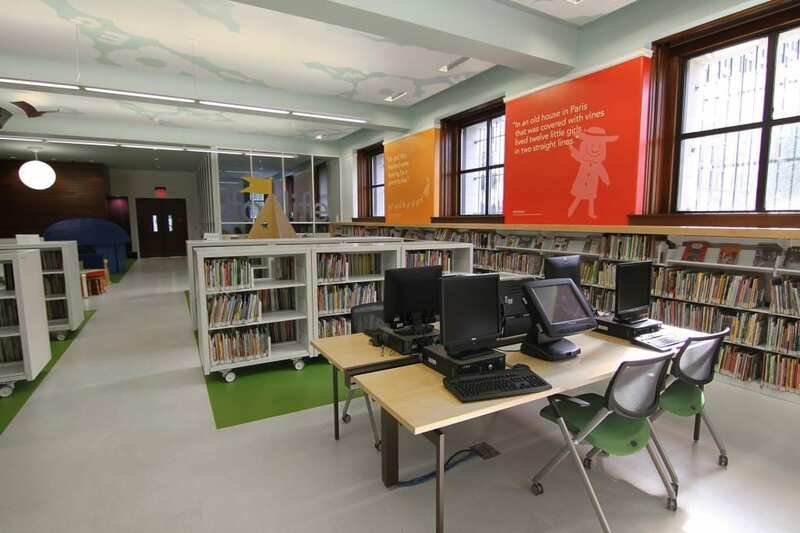 Making room for children’s tables, comfortable chairs, interactive technology, and play equipment can be the biggest hinderance to creating optimal children’s library spaces. 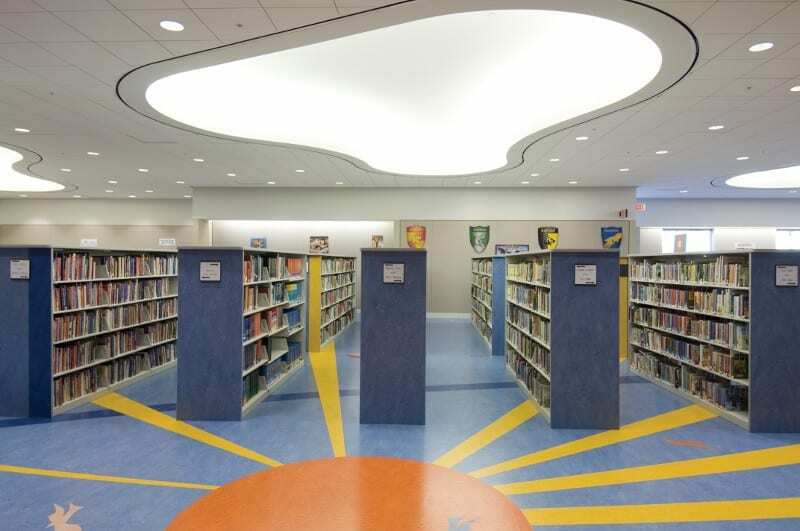 Luckily, there’s a way to create space for child and teen areas without major renovation or expansion – high density mobile shelving. 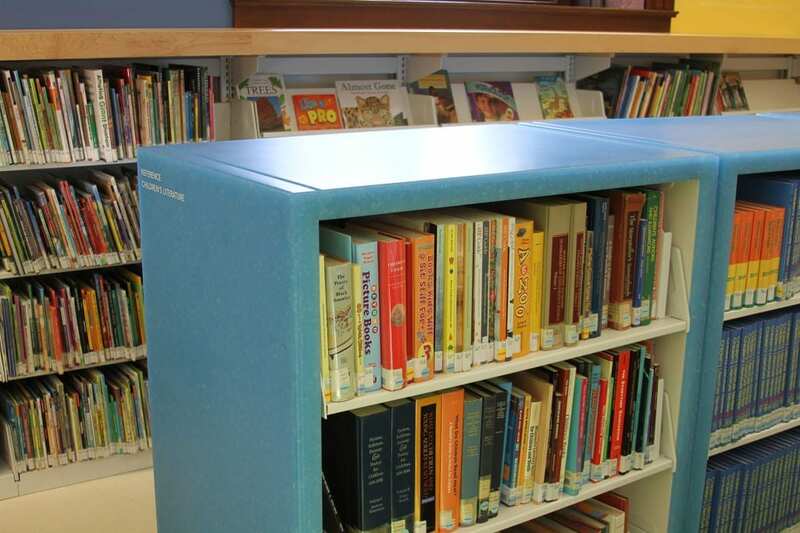 High density mobile shelving allows you to compact your stacks in other areas of the library by mounting your new or existing shelving onto a carriage and rail system. 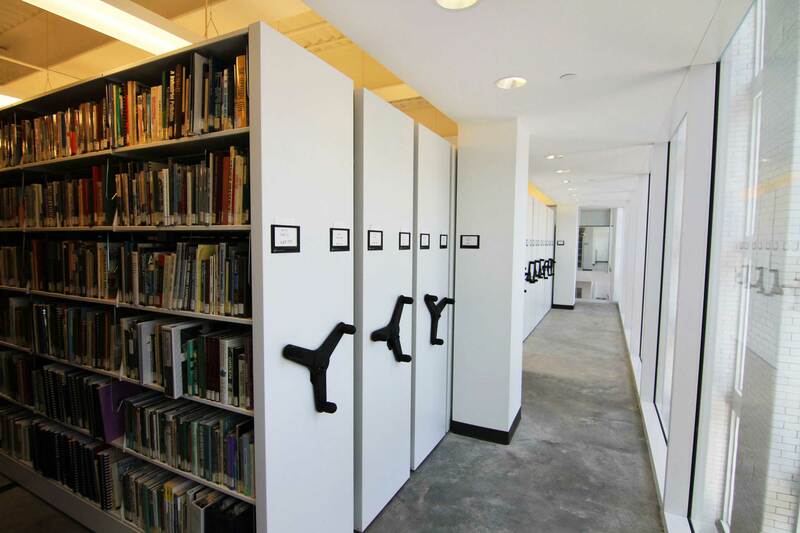 With a range of safety features and intuitive electronic controls, patrons can still easily and safely access the books they need, but your storage footprint is decreased significantly. 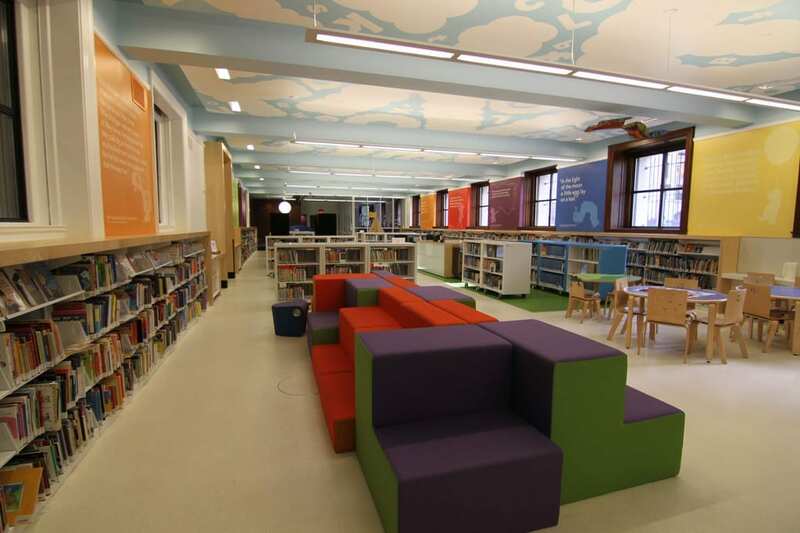 That means more space for meeting areas, computer labs, and you guessed it – children’s library spaces. 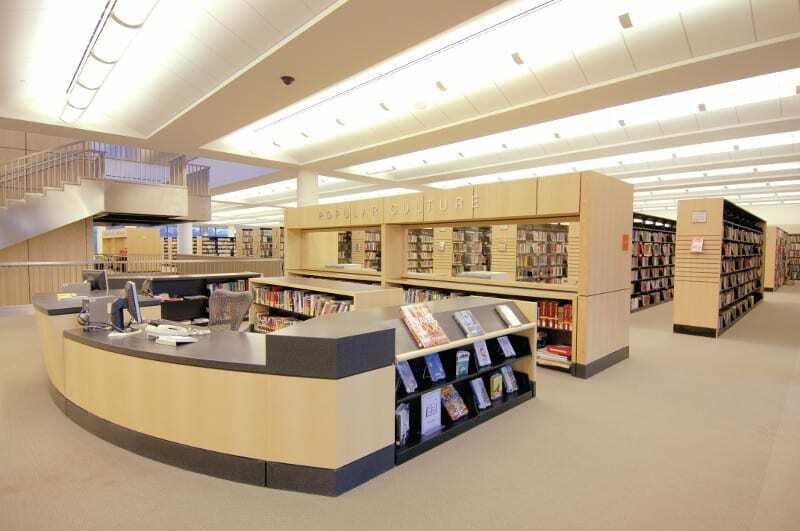 We provide numerous specialty casework items to fulfill the many unique requirements of young patrons and their parents, such as charge desk units, card files, computer stations, book return stations, newspaper racks, magazine displays, and study carrels. 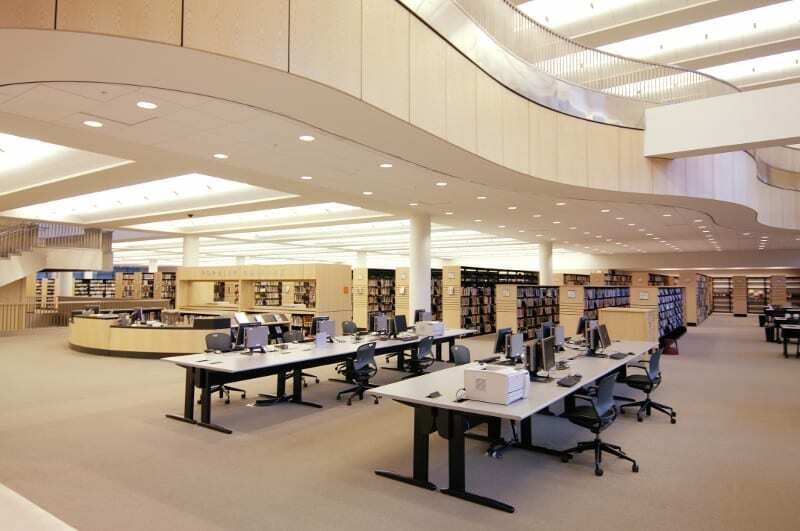 In addition, locked storage systems help protect valuable computers, equipment, and other materials so you can be sure items are safe. 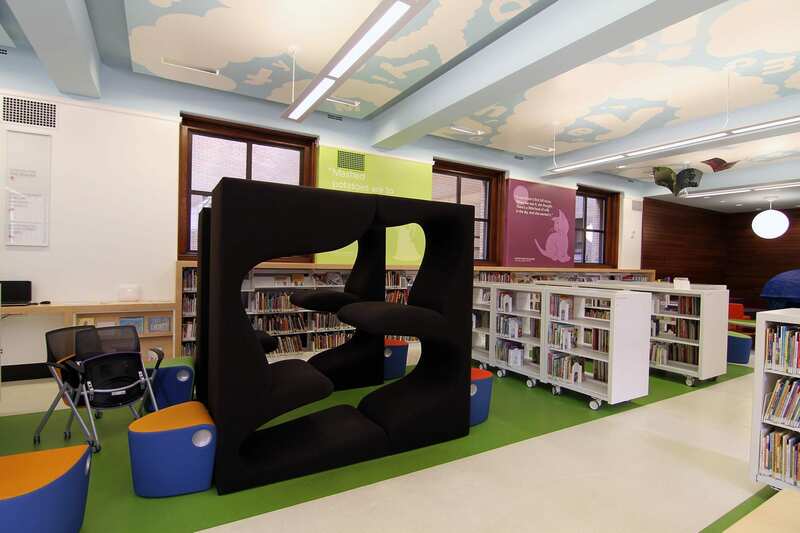 See how you can repurpose your space to create engaging children’s library spaces by getting in touch now.